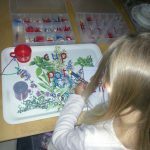 Montessori moments – paper cutting. One of the many strengths of Montessori is its focus on practical activities, introduced using real tools appropriate to the task at hand. 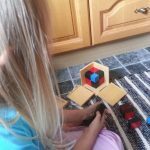 If you've small children you've no doubt encountered their fascination with scissors - the Montessori approach is to demonstrate how to handle and carry them … [Read more...] about Montessori moments – paper cutting.